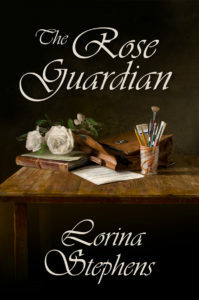 Lorina Stephens‘ new magic realism novel, The Rose Guardian, is now available for pre-order in trade paperback and ebook. There is a conversation that should have happened between Vi Cotter and her mother. Now it’s too late. But sometimes the dead speak through the legacy they leave, and in this case Vi’s mother bequeaths her, among other things, her journals. Do we sometimes seek absolution from the grave? Do we seek reconciliation between the child, the woman, the crone? In a story of unspoken truths and hidden fears, The Rose Guardian explores the cages we make when we fail to unlock our secrets. The gorgeous cover is by Jeff Minkevics, and layout by Éric Desmarais.